At the beginning of May 1863, the 5th U.S. Cavalry’s regimental strength was 12 officers and 424 enlisted men in ten companies. Although authorized twelve companies, the regiment had not yet attempted to recruit and organize the other two. This was partly due to the need for heavy recruiting to make up the losses sustained at Gaines Mill the previous June. The regiment was commanded in May by Captain James E. Harrison. All ten companies with the army participated in Stoneman’s Raid, and Captain Harrison’s official report on the raid will appear here next week. The monthly return shows only 130 unserviceable horses in the regiment, somewhat better than their sister regiments. Average company strength was only 42 of an authorized 95. Not a single company had its full complement of officers. Of the ten companies, two were commanded by captains, four by first lieutenants and four by second lieutenants. All four of the second lieutenants were former noncommissioned officers. Source: NARA, Returns of Regular Army Regiments, 5th U.S. Cavalry, April 1863, images 335-337. This month’s e-version of Armor magazine has an excellent article on one of the companies of the 5th US Cavalry at the battle of Gaines Mill. It is entitled “A Hard Duty Given This Half of the 5th Cavalry,” by Donald McConnell and Gustav Person. The link for it is here. The authors do an excellent job of setting the table for the reader leading up to the battle, then provide a very detailed look at the battle and its aftermath for Company H, 5th US Cavalry. I found it a very entertaining and informative read. The 2nd U.S. Cavalry had the only field grade officer present with his regiment, Major Charles J. Whiting. He led the famous charge of the 5th Cavalry at the battle of Gaines Mill the previous July as a captain. Seventeen other officers were present with the regiment, four captains and thirteen lieutenants. Five of the thirteen were former enlisted men, a sergeant major, three first sergeants and a sergeant. Ten of the regiment’s twelve companies were present at Falmouth with the brigade. Company C was with Grant’s army at Memphis and Company M was still recruiting and training at Carlisle Barracks. February’s muster rolls showed 556 men present for duty. The 5th U.S. Cavalry was led by Captain James E. Harrison, another veteran. Only 16 officers were present with the regiment, one other captain and 14 lieutenants. Junior in rank, it may have been the most experienced group in the brigade. Ten of the 14 were former soldiers in the regiment – a sergeant major, three quartermaster sergeants, five first sergeants and a sergeant. Nominally all twelve companies were present with the regiment, but Companies L and M were not manned during the war and existed only on paper. 617 men were present for duty in February. The 6th U.S. Cavalry was led by Captain James Brisbin, wounded at the first battle of Manassas and another veteran of the previous year’s campaigning. The youngest of the four regiments, the 6th had served in every campaign with the Army of the Potomac, and was part of the army’s advance guard for much of the Peninsula campaign. Brisbin was the sole captain present with the regiment this month. Thirteen lieutenants led the regiment’s twelve companies, half of whom were enlisted soldiers prior to receiving their commissions. The largest of the regiments as it had been since campaigning started, the 6th U.S. Cavalry mustered 817 men in February. 150 years ago today, the Reserve Brigade was born. 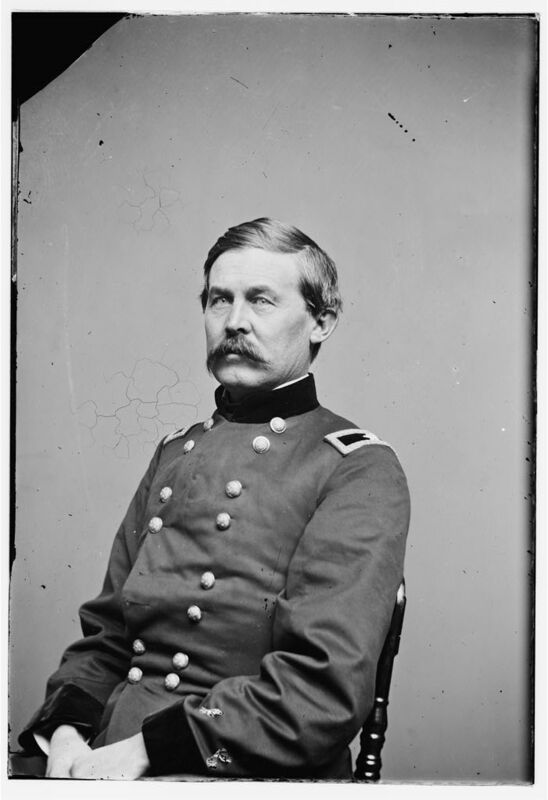 In Cavalry Corps, Army of the Potomac General Order No.4, Brigadier General George Stoneman laid out the organization of the newly-created Cavalry Corps. He was assigned command of the corps five days before on February 7th. The order was written by Assistant Adjutant General A. J. Alexander, on detached duty from his position as a captain in the 3rd U.S. Cavalry. I have omitted the sections that do not apply to the Reserve Brigade. “February 12, 1863. General Orders No. 4, Headquarters Cavalry Corps. This formation wasn’t nearly as powerful as it looked on paper. Only one squadron of the 4th Cavalry was present with the army, the remainder serving in the western theater. The remaining regiments were understrength and led by junior officers. This will be examined in a separate post. The idea of a cavalry reserve was not a new one in the Army of the Potomac. 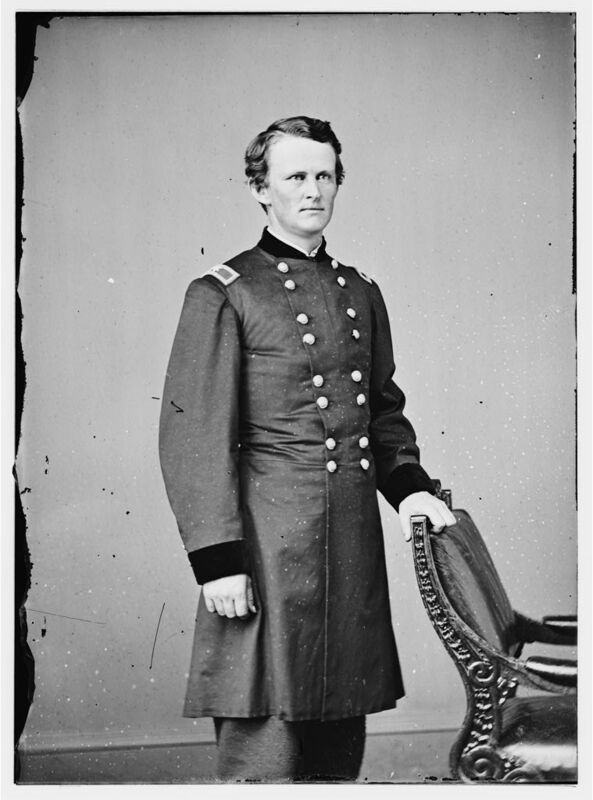 Under McClellan, it appeared to mean simply, where to put the cavalry regiments he hadn’t given to someone else. During the previous year’s campaigning, it had consisted primarily of the regular regiments and a select few volunteer regiments. The two small brigades of the cavalry reserve had borne the brunt of the campaigning on the peninsula. At the time the order was published, Cavalry Corps headquarters was located near White Oak Church. Its picket posts extended over twenty miles from this location, as far as Banks and United States Fords on the Rappahannock River. The creation of the Cavalry Corps did not immediately ease the burden of the multitude of orderly taskings to commanders of the infantry formations. The burden of the squadron details for Cavalry Corps headquarters and headquarters, Army of the Potomac fell on the Reserve Brigade initially. Army Headquarters duty was performed by Companies A & E, 4th U.S. Cavalry. Cavalry Corps headquarters duty rotated among the other regiments. This paragraph was more a statement of intention to wield the corps as an active and offensive organization than a set of instructions to subordinate units. The pack-saddle concept, though attempted during Stoneman’s Raid in May, never really came to fruition. I am really not sure why this was included in the order, unless it had become a problem. Reporting numbers of unserviceable horses per company in each regiment was a requirement in the regular regiments prior to the war, and hadn’t been discontinued. I’m having more troubles than expected compiling the Charles Meinhold biographical sketch. Since I don’t want to have issues of long silences on the blog, I will finish up the regimental staff series in the interim. As with the staffs of the other regiments, there are a few items of note with this one. Other than the Bull Run campaign, none of the field grade officers served with e regiment during the war. The gaps in the positions of adjutant and quartermaster are not nearly as prolonged as in the first four regiments. As with the 4th Cavalry, after 1862 all of the adjutants and quartermasters were officers who were enlisted when the war started. Thomas Maley was a very interesting individual, and deserving of a separate article of his own. This regiment did not have a regimental quartermaster for the last five months of the war. I suspect the duties were covered by the Reserve Brigade quartermaster and the regimental quartermaster sergeant. To the best of my knowledge, no one has listed the names of the casualties, so it seems appropriate to do so for the 150th anniversary of the battle. The regimental muster rolls for June 1862 reflect the following casualties in the battle. Some of the names could be misspelled, as they are very difficult to read on the return, and I haven’t yet been able to verify them through CWSS or their enlistment documents. The monthly return for June 1862 states a total of 58 missing in action for the regiment for the month. 30 of these were lost at Old Church on the 13th, presumed captured on picket. There is a discrepancy between the number of wounded enlisted men listed by company on the first page of the return and the names listed on the second page. The numbers of Companies A, D and F match. Company H lists 9 wounded but 10 names wounded in action. Company I lists 4 wounded but only two names. The regiment’s mounts suffered in the fight as well. Company A lost no horses, but had 17 unserviceable mounts at the end of the month. Company D lost 29 horses. Company F lost 20 horses, and an additional 4 were unserviceable at the end of the month. Company H lost 18 horses, with an additional mount unserviceable at the end of the month. Company I lost 9 horses, with 4 additional horses unserviceable at the end of the month. Report of Capt. 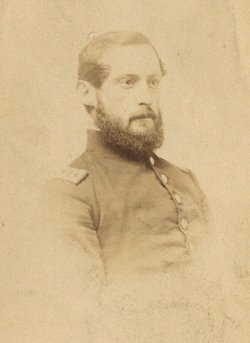 Joseph H. McArthur, Fifth U.S. Cavalry, of battle of Gaines’ Mill. In the Field, July 3, 1862. It is here proper to state that there were but five companies present, the remaining five acting with General Stoneman to the right and rear. During the first part of the engagement the regiment was kept out of fire, prepared to move wherever occasion demanded. Late in the action, and about 6 o’clock in the afternoon, the regiment was moved up and formed in line of battle to support Benson’s battery and another battery on the right. The regiment occupied this position until the battery on the right had ceased firing. The enemy advanced boldly on these batteries, which had opened a murderous fire upon them with the evident intention of carrying them. As soon as the battery on our right ceased firing Captain Whiting, who was at that time in command, gave the order to charge. The regiment charged the enemy’s infantry under a most galling fire until 6 officers out of 7 had been struck down. The column, being left without officers, wheeled to the right, and came off in as good order as could be expected. I regret to state that Captains Whiting and Chambliss and Lieutenant Sweet have not been seen or heard of since the charge, and I am unable to state whether they are killed or merely wounded and taken prisoners. Great credit is due to Adjt. Thomas E. Maley, who, although severely wounded, rendered great service to me in assisting to reform the regiment at once in rear of our forces. Lieutenant Watkins was severely wounded and also trampled on by several horses of the regiment. Lieutenant Arnold was slightly wounded. Acting Assistant Adjutant-General, Cavalry Reserve. Note — Those struck down were Captains Whiting and Chambliss, Lieutenants Arnold, Sweet, Watkins and Maley, leaving Capt. J. H. McArthur alone unhurt and in command of the five companies of the regiment engaged.